With a vast range of design options and accessories available for the modern shower, the bathtub has become passé! The aesthetic appeal of beautiful contemporary shower fittings teamed with an elegant veneer for the wall and a classy shower tray makes the shower cubicle a valuable addition to the bathroom, enhancing its style quotient manifold! 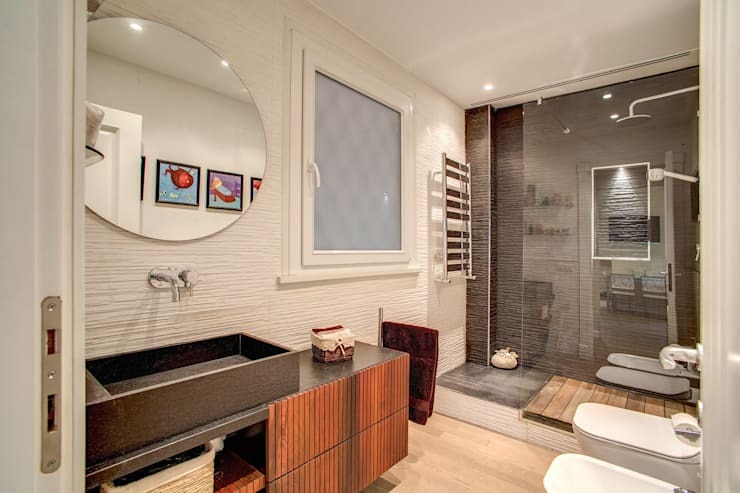 Today we bring to you 10 stunning ideas for trendy shower cubicles that will make your bathroom stand out of the crowd! 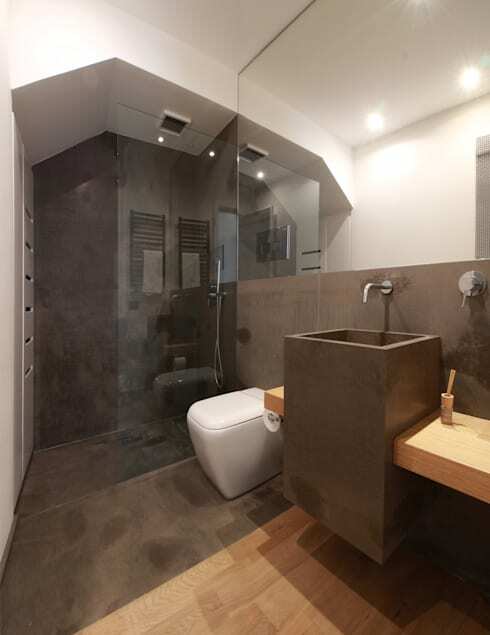 Stone, wood and bamboo come together for a Japanese style bathroom. 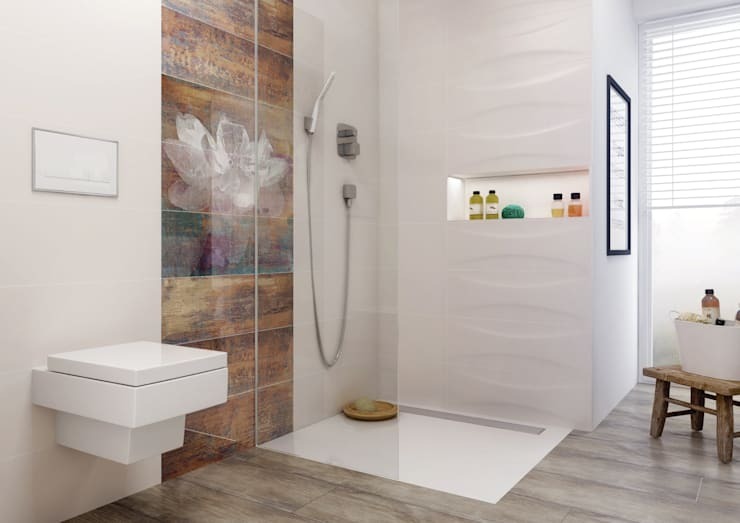 The textured look of the wall in the shower cubicle blends harmoniously with the wooden shower tray and stylish accessories! 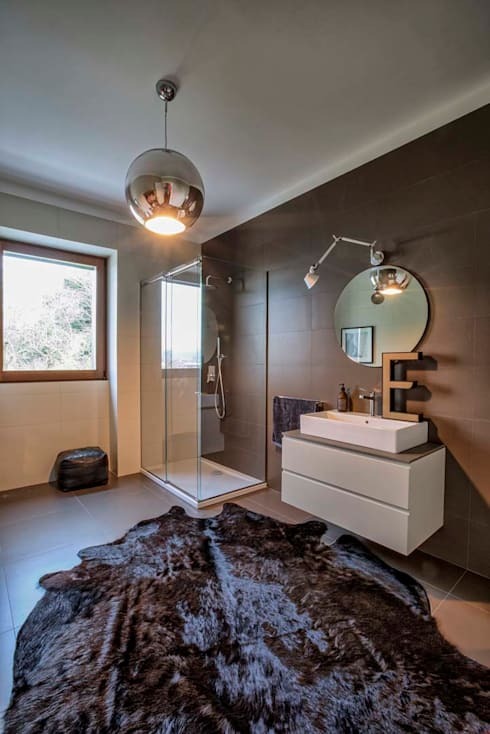 The bathroom is an important space in the house and designers are increasingly giving more thought to the beauty of its décor in addition to its functionality and convenience. The glass walls of this shower cubicle go well with the very trendy theme of the bathroom. Taking shower cubicle décor to the next level, you can even customise the design with features like the designer accent wall, massage jets and chromo therapy lighting! Don’t miss the classy sanitary ware that goes so well with the entire décor! How stunning this curved shower cubicle looks surrounded by the beautiful mosaic on the floor and wall! 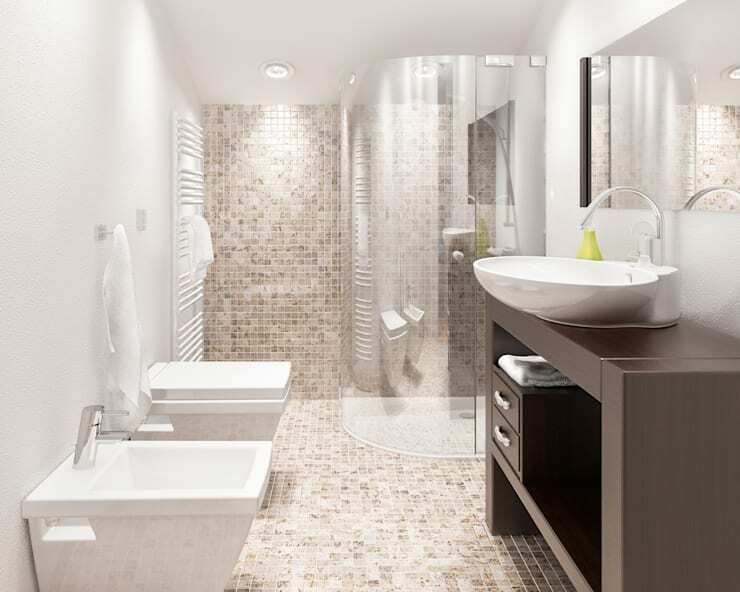 The transparent walls of the cubicle complement the pristine sanitary ware and white walls for a bright and airy look. This beautiful shower cubicle is the accent feature of the entire bathroom. 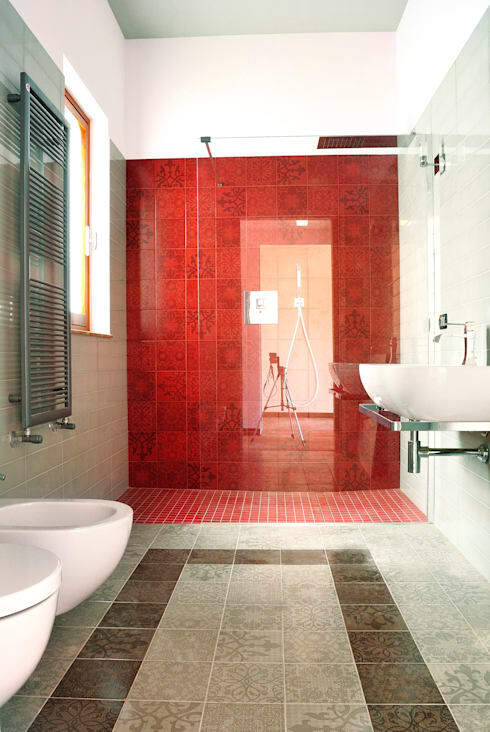 The vibrant red colour and decorative elements of the shower area are a class apart, and lift the white and grey décor of the bathroom substantially. The warm, inclusive appearance of this cheerful shower cubicle makes it the highlight of a rustic attic bathroom! The solid low walls of the cubicle are an innovative idea that adds to the rusticity of this charming space. 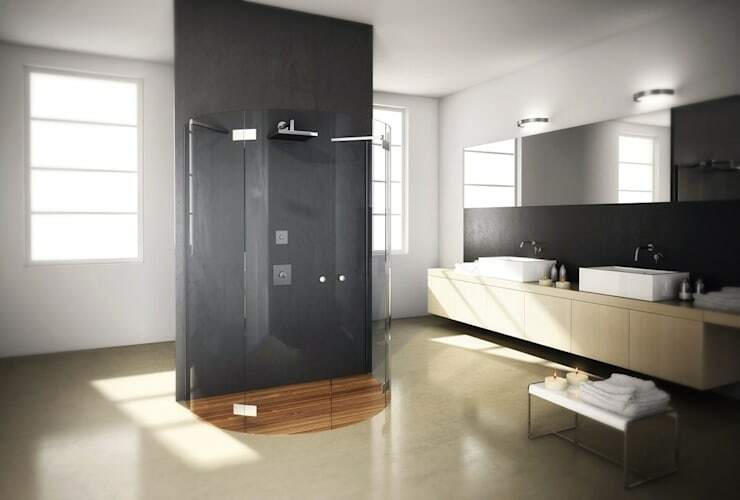 This sleek designer shower cubicle takes pride of place in the middle of the bathroom! Its practical and simple but very stylish appearance blends well with the minimalist theme. This fascinating combination of materials looks very trendy! The glass panels, stone walls and spotlights create a contemporary wonderland. 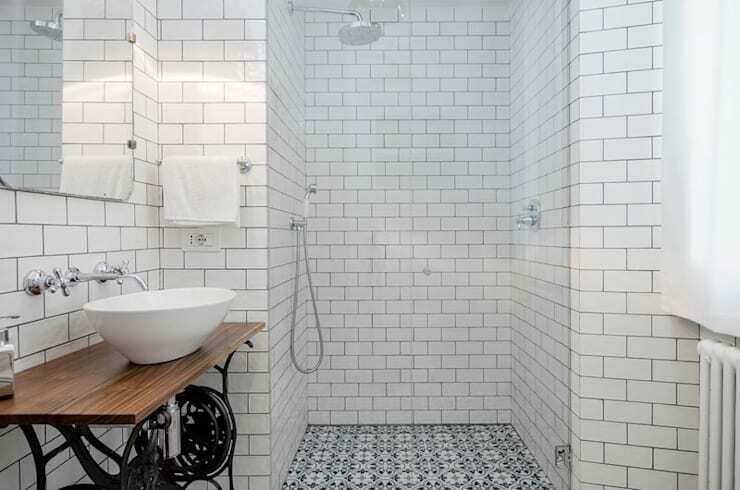 Beautiful white brick walls and a decorative floor make for a super-stylish shower cubicle that matches the trendy and elegant features of this classic bathroom! 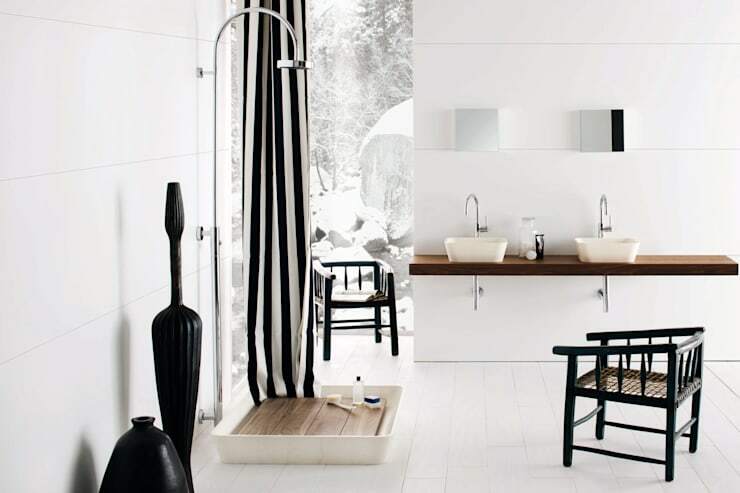 This adorable and ingeniously designed shower cubicle is perfect for the trendy, black and white décor! 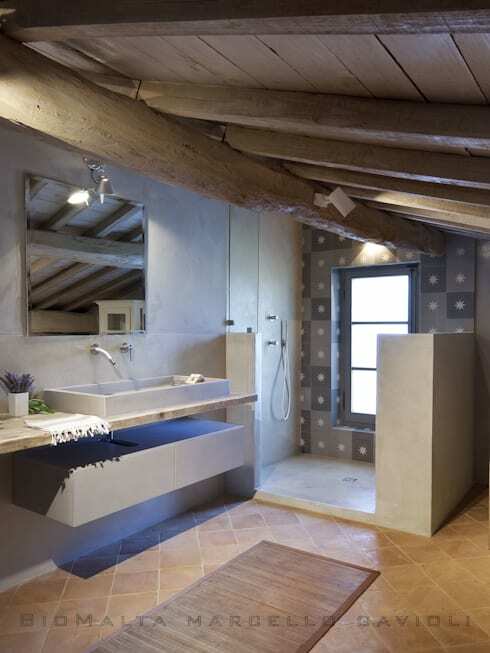 Subtly warmed by wooden elements, the ambience is so delicious that no one would ever want to leave this bathroom! These 10 amazing bathrooms showcase a range of spectacular ideas to make the shower cubicle a stunning feature of this important space. Here are some more ideas that might interest you - 7 awesome apartments under 80sqm!